It's the Fourth Annual Bulgarian Wine Month thanks to BulgarianWine.com! You can read all of the reviews from the first year (2015), the second year (2016), and the third year (2017), and this year (2018) by following those links. 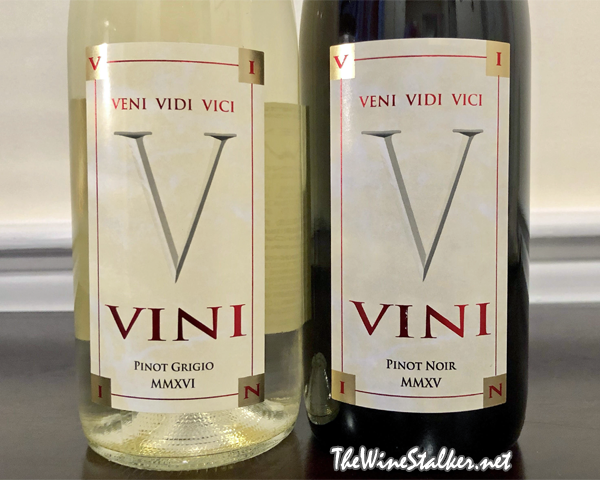 VINI was created by Vance Petrunoff, president of Bulgarian Master Vintners, as an affordable introduction of Bulgarian wine to the American mainstream market. Today I've got the 1st installment out of 3½ for VINI, which I haven't been able to get around to in a few years due to always having so many Bulgarian wines to do in one month. But I've got the new vintages ready to go so let's get into them with their Pinot Grigio and Pinot Noir, both out of Thracian Valley! This wine has an 11.5% ABV and the color is a light straw yellow. My daughters love these little cups filled with diced peaches floating in peach juice, and that is exactly what this smells like. There's also the faint aromas of almonds and vanilla, but those peaches are very dominant on the nose. It's light to medium bodied with a rich mouthfeel and a nice acidity that's rather mellow for a Pinot Grigio. And again the peaches in peach juice are all over the palate, but there's also flavors of grapefruit and lemon. Then it has a big finish with a super assault of lemon and mint candy. This wine has a 12.5% ABV and the color is brick red. Right on top there's a cloud of shaved pencil, graphite and all, hovering over the glass. Then there's aromas of black cherries, red apple, violets, and a tiny hint of licorice that pops up every once in awhile. The nose is simply outstanding. 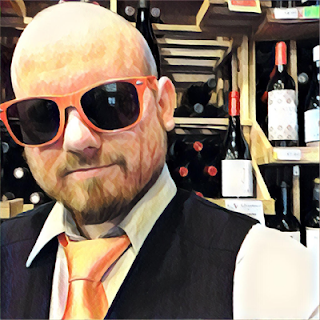 On the palate it's medium bodied with finely grained tannin and an acidity that brings a "Swiss-cheese twang", as I described it in my review of the 2013 vintage. There's flavors of black cherries, blackberries, and stewed plums. Cola rushes in on the finish, and those finely grained tannins get grippy. The $10 price range is a tough one for Pinot Noir, but this is one of the good ones. It's a bigger-bodied, warm-climate Pinot that brings the mass-appeal fruit that $10 Pinot consumers want... and it beats the living snot out of Mark West and Dark Horse for sure. For price vs quality, I recommend it.